inspired to go to the next level in their development. The cost for the Summit is $15 per person which includes lunch Saturday. 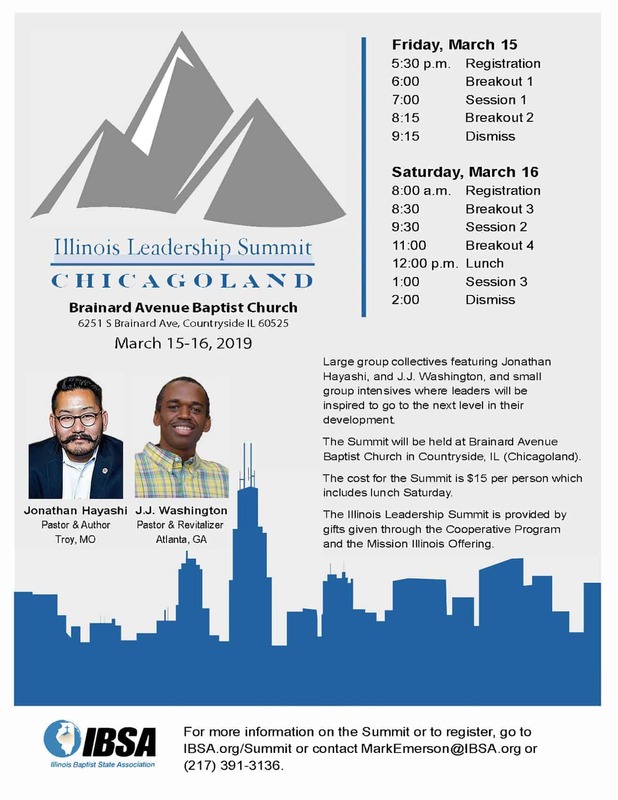 The Illinois Leadership Summit is provided by gifts given through the Cooperative Program and the Mission Illinois Offering.